Fathers play an important role in pregnancy and childbirth – when fathering truly begins. How can a father ensure he is making the healthiest decisions for himself and his partner during this profound time of change? I wanted to know more, but I needed a male perspective. So, I sought out help from a man who is passionate about natural health… a truly wonderful father who just also happens to be a naturopathic doctor, Dr. Daniel Caputo, ND. NFI: As a father, what are some of the most important things you can do for yourself to prepare for your partner’s pregnancy, labor and the birth of your baby? Daniel: As always, have a daily rhythm that supports and renews you. Whatever it is that you find joyful and purposeful, do it! Specifically, during this pregnancy time, connect with your partner. This whole process is one of union and creation. The more connected you are to each other, the easier it will be for you to face the challenges that arise with bringing a baby into this world. Take walks with your partner, talk, and envision how the birth process is going to happen. Do yoga and find an activity to do together (T.V. does not count as an activity); birth is an active process, one that goes through stages and transitions. Like sports teams or musicians in a band, the more you know the person, the easier it is to listen and anticipate what they need, and where they are heading in any one moment. Birth is trial by fire! Be ready, have practice being there for each other. Do activities that push your boundaries; face your fears. NFI: What are the most important ways you can help yourself and your partner nutritionally during pregnancy? Daniel: Here is a chance for you to show some willpower around food. Pregnancy has specific nutritional requirements that change during each stage of the pregnancy. Nutrition for pregnancy begins before conception and should continue through breastfeeding. As a father to be, it is important to know that what your partner consumes will be the building blocks for your child’s body. It is much easier to eat well when you have a supportive partner that understands the importance of why you are eating the things you choose and, just as importantly, avoiding the foods that are detrimental to your health. It is vital to consume nutrient-dense foods before, during, and after pregnancy. Without going into a whole nutrition lecture, a good diet for pregnancy includes plenty of organic, fresh fruits and vegetables, good fats, like DHA and EPA from Cod liver oil and butter, good quality protein from eggs, meats, and legumes. A good, whole-food based, prenatal vitamin, taken with food, should be used to round things out, and make sure you are not missing trace minerals and vitamins. There should be a special emphasis on leafy green vegetables, because this is where you obtain folate from, which is necessary for the prevention of birth defects like spina bifida. I highly recommend Sally Fallon’s book Nourishing Traditions as an amazing resource for recipes and education surrounding our food choices, based on time-tested wisdom from our ancestors, and up-to-date research. NFI: What are important key elements during labor to help your partner? Daniel: You can’t control everything, and labor is a very dynamic process. So, in the things you can control, make sure you do. Make a plan, have support in place, and do all the work that needs to be done beforehand, so that when it really matters, during active labor, you are present for and with your partner. That’s it; as simple and as hard as it gets, be present. Listen, not only to her words, but her voice, her tone; this is where strain, stress, or fear show up. Let her lean on you, physically and emotionally, be strong. It doesn’t matter how many other people are present, there comes a time when you have to see through what you started, so connect to your partner, tune everyone else out for a moment and make sure she knows you are there for her. NFI: What do you think are a man’s biggest fears during pregnancy, labor and birth? Daniel: That something will go wrong. That your baby won’t be healthy. I know when someone would ask me if I wanted a girl or a boy, my answer would always be, “a whole, healthy baby”. 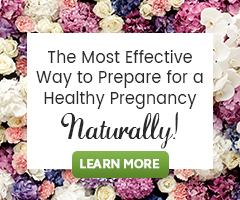 NFI: What do you suggest for optimal health during times of stress and fear during your partner’s pregnancy, labor and birth? Even the most perfect birth doesn’t go according to plan. What, in actuality, is a perfect birth, is one where you adapt to the changing situation in front of you, remaining calm and compassionate, with as much grace as you can manage. The tools for relieving stress and fear during pregnancy, labor, and birth are as varied as the individual. Whatever works for the two of you in general, whatever that may be. Relaxing music, comic relief, a kind touch, a kiss, a look, Bach flower essences, reciting a mantra together, prayer, massage, reading inspirational passages, poems, or birth stories, play acting through different scenarios beforehand, and positive visualizations. One thing I definitely recommend is working through whatever fears you have surrounding birth, before the actual event. Talk to your midwives, doctors, other parents, and counselors. Do birth workshops and use the resources available through your community. Watch the video Birth into Being, by midwife Tatyana Sargunas and her filmmaker husband, Alexi. NFI: Looking toward the future of either bringing your baby home from the hospital or just preparation for postpartum, what are some ideas for preparation as a father for those first few weeks with a new baby? Daniel: If you can, arrange it so you have at least the first week off from work, after the birth of your baby. Doula services, visiting parents and relatives, diaper service, prepared meals from friends, volunteer house cleaning and laundering; all of these gifts will be invaluable to you and your partner, as you are thrust full time into the joys of parenthood. After all is said and done, it is most important that you spend intimate time with your partner and your new baby getting to know each other, and growing closer together. Snuggle each other, you will be amazed how much love you feel for this little child who has suddenly moved, permanently, into your home and your life. NFI: Why is a father’s role important during pregnancy, labor, and birth? The mother provides the womb that carries the child, the father provides the shelter for his partner to feel safe, loved, and cared for during pregnancy, labor, and birth. As a father, you do not go through the physical changes a woman does as she becomes a mother. It is vitally important that a father feel not only included, but an integral part of a successful birth. Pregnancy, labor, and birth give couples an opportunity to create a very strong bond that will help them stay united through all the life changes still to come. Birth is one of the most natural processes that connect us to all life. One of the greatest gifts a father can give a mother is to help create that sacred space, free from distractions, so a mother can get down to it, and birth that new life into the world. NFI: Why did you and your partner chose natural childbirth? Daniel: My wife and I chose natural childbirth for a few reasons. First of all, we believe that birth is a natural bodily function, and that, under optimal conditions, requires nothing else but the mother getting down to birthing. Secondly, hospitals look at labor and birth as a medical emergency, and while it is literally an emergence of a baby from the womb to the world; it does not need to have the panic and stress around it that is so commonplace at a hospital. Thirdly, pregnancy, labor, and birth are a transformative process, when the authority of this event is left in the woman’s hands, it can be a powerful, life affirming chance for growth. What is helpful is a support team that knows the intricacies of pregnancy and birth and can help facilitate the kind of birth that you desire. I am eternally grateful to our midwives, as they not only made sure our babies were brought safely into the world, but they helped birth the transformation of my wife and myself into a mother and father. Where hospitals are extremely important is in the case of an emergency or a known complication. Have faith, but rely not on faith alone. We are very lucky to have the technological support that we do in this present age and we would be smart to use it wisely. Have continued care throughout pregnancy, monitor yours and your baby’s vitals, listen to your intuition, and know your body’s warning signs. I am not talking of fear, I am talking of being educated and aware, so that you can make the correct choice for you and your family when the time comes. It has been my pleasure to share some of my thoughts on being a father, and my role in natural childbirth. Dr. Daniel Caputo is a graduate of National College of Naturopathic Medicine in Portland, Oregon. He is a licensed Naturopathic Doctor and Acupuncturist. His interest in natural medicine grew out of his own desire for a healthy way of living. He moved to Eugene Oregon in the 90’s and experimented with various dietary practices. He began practicing yoga and studying specific Pranayama breathing techniques to retrain his way of breathing. There began Dr. Caputo’s journey to become educated in the knowledge of natural healing techniques that utilize the innate intelligence and power of the body, mind, and spirit. He studied a pre med curriculum and graduated from the University of Oregon with a bachelor of science, with a major emphasis in biology and a minor in chemistry. He is currently practicing medicine at Inspire Wellness Clinic, on the Big Island of Hawaii.